The 2012 US Open National Playoffs Middle States Section Qualifier began yesterday under sunny skies and gorgeous weather in West Windsor, New Jersey, as tennis players of varying age levels and tennis backgrounds descended upon the Mercer County Tennis Facility. 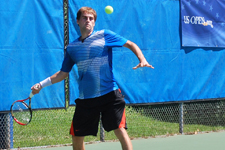 For some entrants, like 26-year-old Robert Hikel from Ambler, Pennsylvania, the goal was straightforward and ambitious: To reach the U.S. Open and play a match against Roger Federer, Novak Djokovic, or Rafael Nadal. 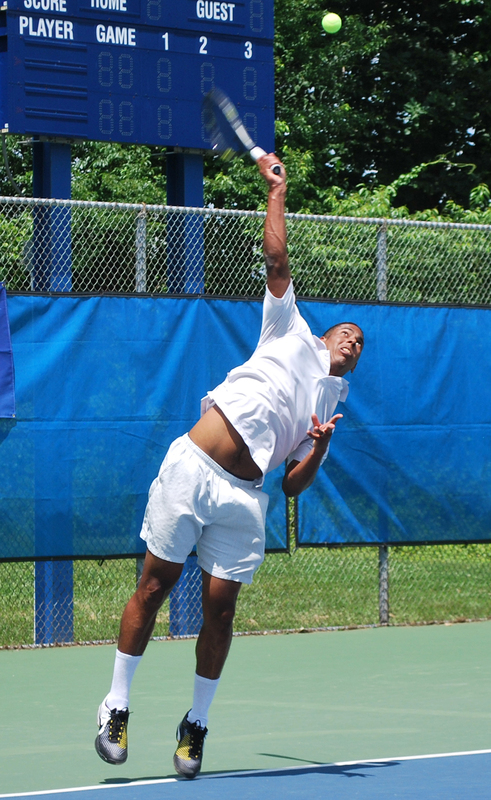 Hikel’s dream is alive after day one of the tournament, winning two matches in straight sets. For other players, like 65-year-old Robert Van Naarden from Huntingdon Valley, Pa., the goal is a bit less lofty but still inspirational: To get to the third round after coming up short during the first two years of the tournament. Van Naarden did not achieve that objective today, but vowed to be back again a year from now, citing Winston Churchill’s “Never Give Up” commencement speech. Two morning matches that went to a third and decisive set highlighted the day’s action on the courts. 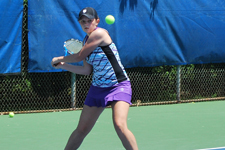 Ilia Shatashvilli defeated Nicholas Podesta 7-6(2), 2-6, 6-2. There would be no rest for the weary as Shatashvilli would play another match in the afternoon, defeating Basil Moskva who retired due to an injury. Shatashvilli was up 6-2, 5-2 and looked ready to close out the match at that time. 2010 tournament champion Punch Maleka is back, attempting to win the event for the second time in three years. Maleka is off to a fast start, winning his Round of 32 match versus John Wu 6-2, 6-1. While most of the first day matches came from the men’s draw, Anna Mamalat stood out for the women. Mamalat, from Philadelphia and heading to Texas A&M in the fall, won her Round of 32 match 6-0, 6-3. Not having played much since her senior season concluded in the fall, Mamalat said that part of her game was rusty, specifically her first serve, but the score gave little indication of that. Action resumes on Saturday at 10 a.m. Both the men and women will pick things up with the Round of 16, and Mixed Doubles will begin with Quarterfinal play. Check out photos from Day 1 on the Middle States Facebook page. Updated results along with a complete tournament draw can be found here.